I received a notice from Google AdSense -- whose ads were appearing on the right-hand side of this blog -- that they could not pay me for click-throughs because there was "no form of payment" on file with them. 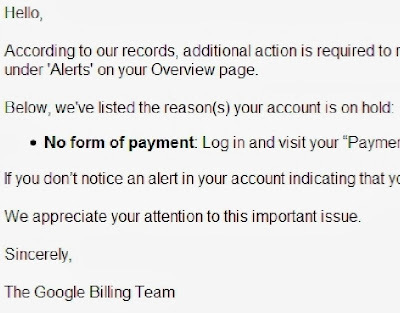 I had previously been receiving the occasional check from Google, so this was puzzling information. This was not a spam email -- this was legitimate. So I dutifully logged onto Google AdSense to correct this information. Sure enough, for some reason I didn't have a form of payment chosen. Weird. I also learned, quite to my surprise, that I have $300 on file, waiting to be paid. Wow. ...where I was asked to fill in my bank information so the funds could be electronically deposited. Um, no. I didn't want an electronic deposit, I preferred a check. But I learned that check payments are no longer an option. 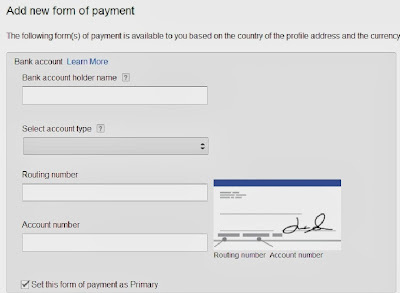 The exact phrasing is, "Check payments are no longer supported in countries where Electronic Funds Transfer (EFT) is available. EFT payments are faster, more efficient, and the most environmentally-friendly form of payment." None of the other options were available either -- Western Union Quick Cash or "EFT via Single Euro Payments Area (SEPA)." In short, my only option is to hand Google our bank information or not get paid. I would rather shave myself bald than hand Google my bank information. So buh-bye $300. As I write this, my husband is poised and ready to remove Google AdSense ads from my blog. I actually had to take screenshots of the screenshots for them to appear. I've toyed with the idea of moving this blog to another platform, but am frustrated mainly because I can't find another platform that supports the large and colorful photos I like to post on the masthead. Other platforms have photo mastheads, of course, but nothing as large. I would welcome reader input on this issue. This is something that I have had to do. Just a very simple account with least fees. 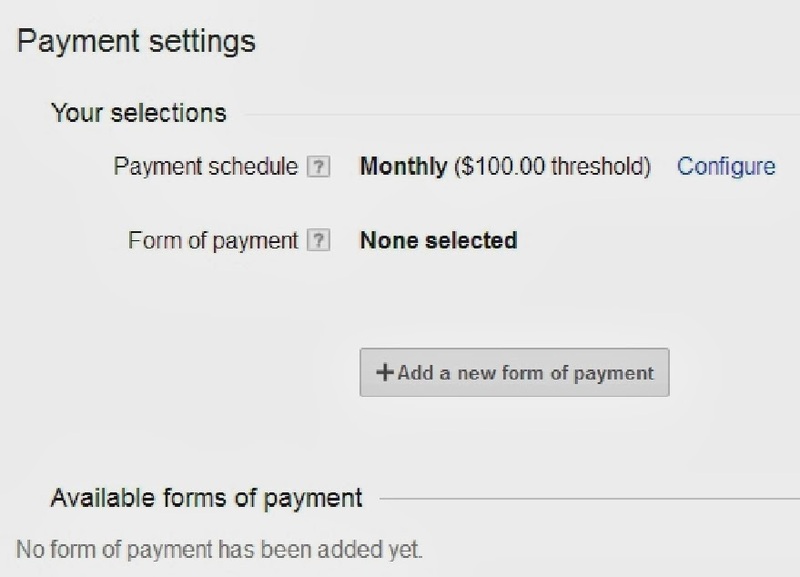 Why not open one account that you only use for these payments? Then they wouldn't have any of your other information. If you bank won't charge you a monthly fee, open a second checking or savings account just to flow the money through (I love my credit union). Don't blame you, no bank account information. That is TMI in my opinion. Could you open an account just for these electronic deposits? I dumped google and changed my blog to wordpress. I had to search quite awhile to find a blog template to have a decent photo at the top of my blog. I use the adventure journal theme and while some of the features are harder to use, I still like it better than blogger. Also they have superior spam filtering which comes in very handy. I like reading your blog a lot so hope you find something that works for you. I would open up a separate checking account solely for this purpose instead forfeiting the money. You could then write yourself a check and move the money over to your main checking account. This way if someone does break into this account its no big deal and your main account is kept secure and private. Perhaps you could go to a different bank and open an account that is just for these payments? Then you could go to the new bank and withdraw the money as you want and put into your other account. If you are cashing a paper check then they already know your bank information. Google is part of the ACH which means they can see both sides of the transaction. If you want to know more lookup Federal Reserve ACH and the Check21 act. Have you tried "blogspot"? I must also agree with you, giving Google bank information is a bad idea. Google is a mass marketing company and who knows where your information ends up. And what would happen if they had a breach in security? They already gave information to NSA, bad idea to have anything to do with them. That is my opinion though. We have opened up an account just for paypal etc. I would have a separate account just for google and other online business and not use family accounts. WordPress! there are plenty of themes with big mastheads. Look up the Meeta theme, that one looks simple and clean and has a big masthead! And you can even select multiple images so that every time you view the site it shows a different one up top. I just started a new business and I have two pre-paid credit card that do direct deposits on them. This might be something to look into. I am planning to set up a separate bank account to take payments like this, and to link to PayPal. Then I can withdraw the money from it and deposit it in my main account, leaving a minimal amount in the account to keep it open. As for the blog platform, I loved your masthead, and looked for a Wordpress theme that would give me similar capability. I am running a self-hosted Wordpress.org installation (just means I have a Wordpress blog on my own website, rather than on theirs), with Weaver II as my theme. It is very, very versatile, and allows header images up to 940px. That's what my current header image is. Unfortunately so many things are going in this direction - I agree with the other responses; the best way to handle things like this (they WILL come up more in the future!) is to open a separate dedicated account for transactions you prefer to keep at arms length. If they have your address, they can find your bank account info through your credit report - there are so many groups connected in so many ways they probably already know it and just want you to confirm it. You could set it up with a debit card in case you need to make online purchases from 'sketchy' websites if you turn down overdraft protection, credit cards, and other stuff and keep a low balance, there won't be much to risk. Would they do Paypal? I have a seperate account I use for Paypal, and only move money into that account for use in Paypal and the like. That way even if Paypal is hacked (and so far they've done pretty good with minimal problems) I'm not going to loose much. And that way you can still give minimal info to Google. Oh, on the blog-platform. Wordpress, the one where you host your own site instead of use their yourBlog.wordpress.com site has a HUGE number of format options, many of which are editable if you're so inclined. The one I use for example, I could use a much larger picture for my header were I so inclined with very little extra effort on my part. I see I am not the only one to suggest another account just for online things. My husband and I have an account we use to pay our employees. We keep just a few extra dollars in it, and transfer money on payday. You see, the IRS needs electronic access to our account to get their federal taxes on a monthly basis. I think I would rather Google have our account information than allow the IRS free access! I think I would rather NEITHER Google NOR the IRS have free access to my account information! I trust them both about as far as I can spit. 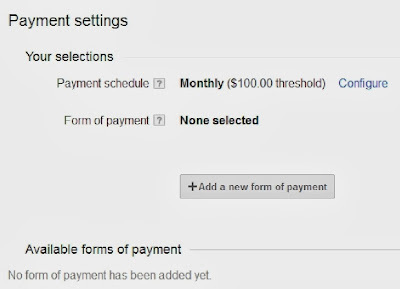 Google reports all your transactions with them to the Feds, which includes the IRS. They are a large part of our problems. Avoid them like the plague. The second bank account is a good one. WordPress templates can be edited to give you the large masthead photo area, it isn't too difficult to do that if you are at all familiar with a bit of html coding. They are an online only bank and do not charge fees. We actually have several accounts with them. Dedicated bank account is one way to go. PayPal works O.K. assuming you buy some things on-line. A pre-loaded credit card that is tied to your business wold work best, because you could use the money that is deposited for supplies and such, and use the card where ever you can use a credit card, plus it is not tied to you personally. We are all going to have to draw lines in the sand. Patrice is drawing one with Google. The NWO is attacking our sovereignty of nations and individual liberties on many fronts. Forcing people to submit to a cashless society is a key goal. Today they demand it for a web service, tomorrow it may be for purchasing food, fuel, medical care etc. Bowing to such could very well be 'the mark of the beast'. Ultimately neutrality will not be an option. We see Patriots and Patriot Pastors drawing lines today regarding vaccinations, gun registration, gun confiscation, homeschooling. Where will you draw lines in the sand? Perhaps equally important, whom will you be drawing them with? I have four different bank accounts including four different checking accounts. I do this for various reasons. 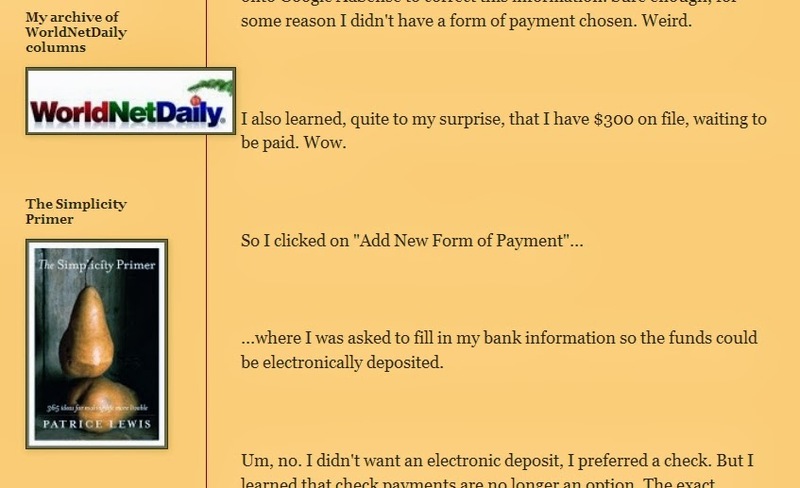 It would be easy for yu to set up an account to receive this EFT and then transfer the money to a more secure account. Don't throw it away, make the system work for you. I know how you feel Patrice. I've never had much dealings with Google, but I bumped heads with ebay/paypal. Over the years I had spent over 10,000 bucks at ebay with NEVER a payment issue. Then it came the paypal verification notice. Seems that after using paypal with no problems whatsoever for years suddenly they needed to 'verify' me. To be 'verified' by paypal meant giving them my bank routing number and my account numbers which I refused, telling them I wouldn't give that information to my pastor let alone an unknown online entity. After many minutes of back and forth messaging and a few phone calls my days of paypal use ended. I haven't spent a dime on ebay since. Anyone who gives out private, personal information over the internet, or their telephone nowadays for that matter, sees a fool looking back at them from a mirror. That goes doubly so for that Obamination of a website ACA. As far as getting paid, maybe a bank account just for googles use??? Others suggested this as well, but for a blog I recommend wordpress. The free version won't allow you to upload a ton of pics, but if you pay a set amount each year for the premium account, which is fairly reasonable, not exactly sure on the cost, you can upload all sorts of pics and post elaborate blogposts. One of my good friends does a family blog on there that she pays a set amount for each year and she posts numerous times each week and each post often has 4-20 pictures in it. She used to have blogger but switched because she got sick of all the crap and she swears by wordpress. Like others also said another bank account would work for this, although if its through the same bank, your accounts are always somewhat linked even if you don't want them to be, so if someone got into one account they could theoretically drain your other account as well. Downside of having an account just for this sort of thing is the fact that pretty much no banks have free accounts anymore so you might be paying $20 each month for an account and depending how much you are making might not be worth it, especially since most banks require you to leave a set amount of money in the account at all times or you face penalties. My experience with paypal is that in order to do a lot of transactions you have to have a verified account and give them your bank information, so same issue. I used to sell stuff online but so got sick of all this stuff, so just sell locally. I also don't like everyone to have my bank info. why don't you just open a small savings account for Just the Google money you are owed. That way no other banking info could be stolen. Why don't you just open a small savings account for just the google money owed to you. that way no info could be stolen. 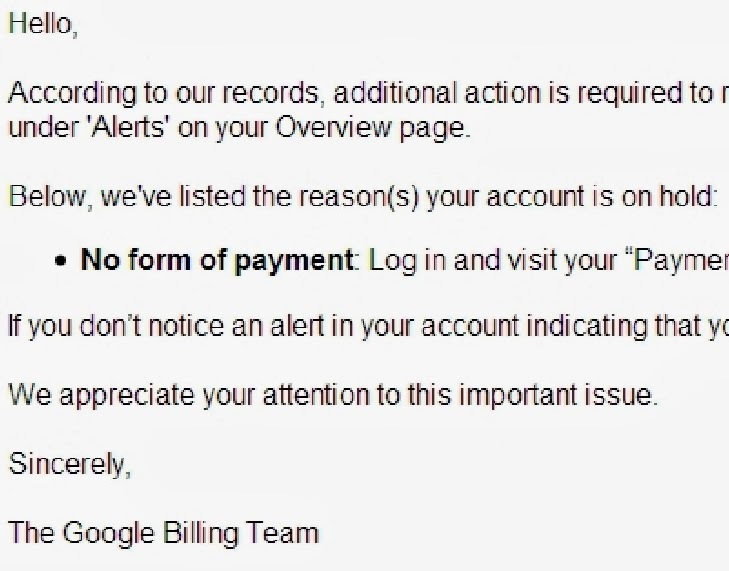 Google's new "we only want to deal with your bank account" policy is why I had to move my domain name elsewhere. They wanted to auto-pay themselves from my account. No way. I'm gradually migrating away from google because of all of it. I see quite a few folks recommending wordpress. My author blog is there but I'm not impressed. Blogger beats them hands down in the blog department. And the free accounts aren't ad free and they get the $$. The second dedicated bank account is a good idea too. I use one for my CreateSpace royalties. I was not going to post on this as others have covered the stand alone account at a separate bank rather well. If you do decide to change blogs just let us all know where you go so we can follow you and the family. Hunh. I had issues with Blogger, too. I like WordPress. Never a problem. *sigh* If I had $300.00 waiting for my bank account information to be paid, I'd open up a new checking account solely for that. When you find out where you are taking your blog, let us know. I'm thinking about changing mine also. 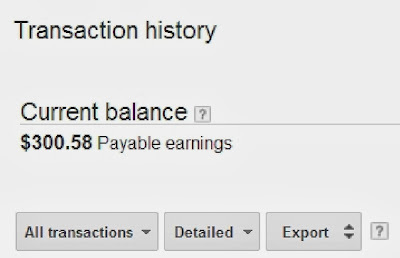 AdSense/Blogger screwed me out of 500. Ally bank used to be GM Financial. GM Financial was dissolved with the auto industry bail out in the fall of 2008 and reemerged as Ally Financial. Ally is almost wholly owned buy the US government. I'd find another bank. Just my 2 cents. "I'm your child! How can you spare any expense?" Brought to you by the letter "K"